A new and shocking version of Robert Louis Stevenson's classic tale of depravity, lust, love and horror. 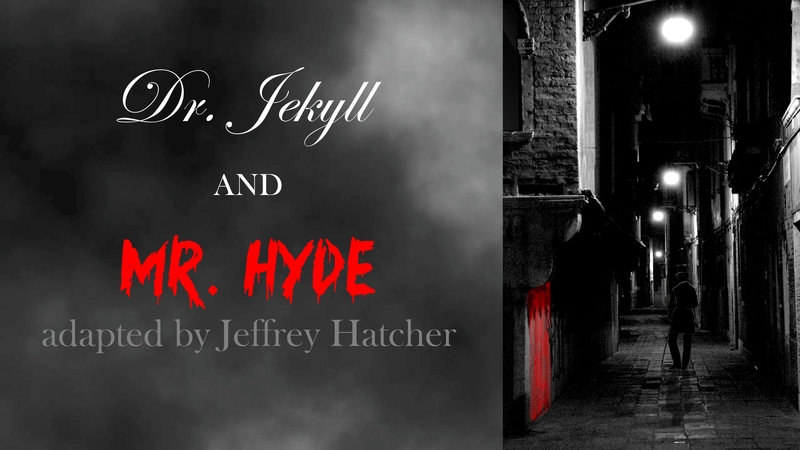 On the fog-bound streets of Victorian-era London, Henry Jekyll's experiments with exotic "powders and tinctures" have brought forth his other self—Edward Hyde, a sensualist and villain free to commit the sins Jekyll is too civilized to comprehend. When Hyde meets a woman who stirs his interest, Jekyll fears for her life and decides to end his experiments. But Hyde has other ideas, and so the two sides battle each other in a deadly game of cat-and-mouse to determine who shall be the master and who his slave. With multiple Hydes portrayed by members of the cast. DR. JEKYLL AND MR. HYDE is presented by special arrangement with Dramatists Play Service, Inc., New York.